According to a 2016 study published in Maxillofacial Plastic and Reconstructive Surgery, 50.3% of people who replaced missing teeth using dental implants needed a bone graft prior to treatment. However, a relative few people understand the types of tissue grafts available and the purposes of each. The sinus lift is easily the most commonly recommended preparatory grafting procedure, and you can find out more in one of our most watched YouTube videos of 2018 here. Root canals still have a bad reputation – despite our efforts to spread the word about how safe, comfortable, and effective these treatments are. More than 15 million root canals are performed each year, and they have a success rate of 95% with proper care. Not only does root canal therapy relieve pain – not cause it – a root canal can actually save a tooth that might need to be extracted. You can find out more in our YouTube video on root canal therapy here. If you’re a patient at one of McCarl Dental Group’s two convenient locations, you’ve already heard one of our skilled dentists talking about the six month rule – but we can never remind our patients enough! Visiting our office twice a year for dental checkups and teeth cleanings is the best way to keep your smile beautiful and healthy for a lifetime. Learn more about McCarl Dental Group’s six month rule by watching the video here. According to the American Dental Association, more than 40% of adults over the age of 30 have untreated gum disease and about 25% have untreated cavities. Perhaps the most unfortunate statistic is that the majority of these cases could be 100% prevented with proper care at home and in our dental office. You can learn more about keeping smiles healthy by watching our video here. It’s been a great year for patient education, and we look forward to another great one in 2019. 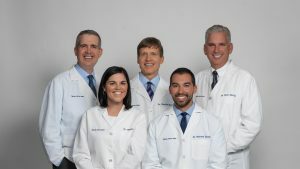 Don’t hesitate to call the skilled dentists and caring family dentistry team at McCarl Dental Group to learn more or schedule an appointment with us in our Millersville or Greenbelt dental office.